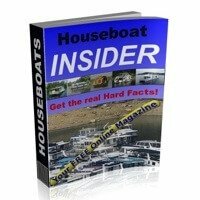 How to remodel, rebuild, or refurbish houseboat interiors? 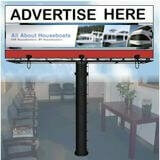 Just wondering how to remodel, rebuild, or refurbish our houseboat interior? I would pretty much like to gut the master bedroom, and put my cherry queen size bed in and nightstands that were in my house. I know they'll need to be bolted down which is fine. Also, I'd like normal walls without the fabric and the mirrors. I want to hang art. Who can do the work for me? Any help is appreciated, Joyce. Well Joyce, congratulations on the decision to remodel or refurbish your houseboat interior. Since it's my wife who has the decorative skills or all the talents when it comes to houseboat decoration, I'll leave that aspect to her. However, I can help you when it comes to the construction aspects. 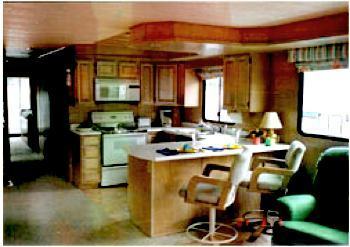 Tips & Material for Remodeling Refurbishing a Houseboat? * Once you have decided to remodel a boat, you will be needing some building materials, marine parts, and technical building information. 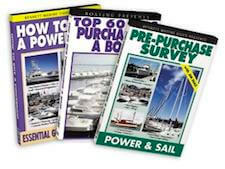 * Before you start building that boat you should also take a moment to watch some of the best "How To" videos on boat refinishing. 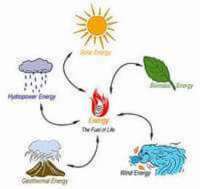 be that when it comes to electrical, or mechanical marine work, you should always consult someone who is "qualified and knowledgeable" in working in houseboats or the marine environment. When it comes to decorative, placement, and houseboat remodeling interior type work, you can consult anyone of your choice that has some "general carpentry skills". Just a note, try and get some referrals, since you don't want to undertake a large project, only to find that the job takes forever to complete, and is not finished along the quoted price. If your contemplating changing your houseboat interior, you should try and take some pictures of the "before & after" and post them since I'm sure there are many other houseboaters that are looking for ideas, and an overview of the overall experience. Lastly, hopefully some of our readers will share and post comments about their houseboat rebuilding, remodeling, or refurbishing experiences. Feel free to use the "Click here to post comments." link found at the bottom of this page. I am fixing to dive head first into a remodel on a 1973 nautaline houseboat. I am going to change the bathroom configeration and make it larger. I would love to know does anyone know how thick the walls typically are in houseboats? They seem thinner but I don't know what the standard is. As far as weight, I am going to use luan and paint it with a matte finish. I will post before and afters. I am beyond excited. Just curious what everyone's opinions are for materials for re-covering houseboat furniture. We are in the process of remodeling our recently purchased boat and would like to keep similar materials in the dinette as to what was originally installed. We'd like to keep similar material because it has worn well and appears to be fairly UV and water resistant. Should we be looking at Sunbrella type materials? There is a current movement towards tiny sustainable homes called by some the "Small Home Movement" or Tiny Home Movement" While these are mostly dryland homes, they are tackling the small space issue with some VERY different ideas. It might be worth doing a Google search and seeing if you get any ideas. Also, to the original poster. Most of the furniture in our houseboat was NOT bolted down. There were a couple times we had to grab a fan or something to keep it from tipping, but we never had a real problem. In our Kingscraft, you had to measure careful to use home furnishings. It all seemed to be about 1-2 inches to0 long or wide. I'd have to agree that storage is always an obstacle. 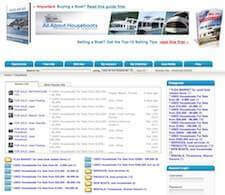 Going with RV furniture or Marine furniture is a plus because it is designed with tight spaces in mind. Attending RV and Boat Shows is a great way to see lots of products and ideas in one place. Another good reason for using Marine or RV furniture is that it is designed to be able to disassemble in order to get it through tight spaces in order to install it. 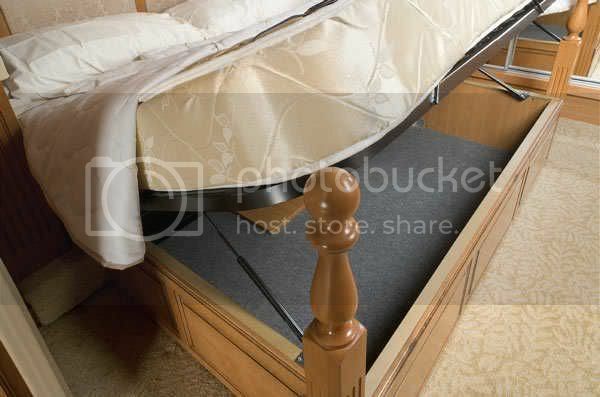 Most Marine & RV sofas can be brought in through an 18"-20" opening, making furniture installation much easier for you. As a marine furniture dealer and manufacturer, we have come across many unusual obstacles, but when there isn't a pre-manufactured solution you can always have furniture custom built to fit your needs. Good luck with your project! Joyce, I love the comment that says "just go for it". It is so true, you just have to dive in make it happen. Start with a small project and go from there. 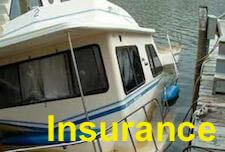 Just remember it is a boat so some things have to be considered. Too much granite on one side will make her list, some walls are structural and can't just be eliminated. My wife and I are updating a 1997 houseboat. The previous owners started many projects but didn't finish any of them so lots of our time is spent doing trim work, painting and so on. I also dabble in woodworking so I have made some custom furniture for the boat as well. Many of the ideas for the interior have come from tons of research on the internet and like Tim said, visits to various RV centers. The manufacturer of our boat is still in business and has been a fantastic resource when I stumble onto something unusual. My wife has compiled a huge collection of photos of houseboat interiors and that has been sort of a guide for colors, fabrics and textures. Some day I hope to have a website where we can showcase the before/after work on "Slow Ride". Best of luck to you on your remodel. I and others would love to see photos of your progress. Hi Joyce, my husband and I have gutted a 1983 houseboat and we are just starting the interior. We intend to have the inside much like our home so have put beadboard for the walls and plan to have "home" furniture as well. I have decided to just "go for it" and put what I like and not worry so much about it looking like a traditional boat interior. The one thing that was a must for me was having a good toilet, so I am spending there and also with the fridge. And then coming up with storage, storage, storage. I would love it if you posted before and afters. Always love seeing women showing their talents in the boats!! Good luck! Joyce, I would suggest making a trip to the local RV dealer and look through some of the new motorhomes for design ideas. Houseboats, like RVs have usually 1 thing in common, you can never have to much storage. I have got several ideas for my boat looking at an RV layout. The manufacturers have spent millions of dollars and engineers have logged thousands of hours making the space they have to work with the most efficient it can be. I personally love the under bed storage.